Margaret Atwood long ago earned the moniker of “Canada’s Queen of Letters,” but the 79-year-old author might also be described as “Canada’s Queen of Characters” — at least when it comes to the 280 characters allowed in a tweet. 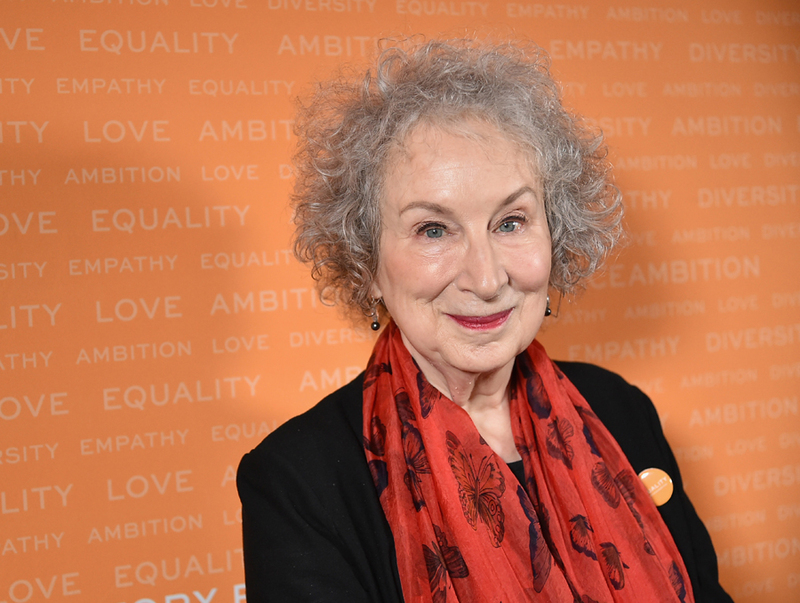 For the last decade Atwood’s cultivated a Twitter following that’s nearly two million users strong, connecting directly with her fans (and critics) on the social media site. And on Tuesday, the author sat down with Twitter co-founder and CEO Jack Dorsey for a candid talk moderated by TV Ontario’s Nam Kiwanuka in downtown Toronto. Dorsey, who is sometimes portrayed as an enabler of hate speech and disinformation on social media by critics who feel Twitter hasn’t gone far enough to silence white supremacists and other hate groups on their platform, clearly knew his Canadian audience and no doubt earned brownie points by discussing his admiration for Atwood’s work. He noted his love for Atwood’s poetry and novels, particularly The Robber Bride. Of course, talk inevitably turned to Twitter and its role in the ongoing cultural war between hate and disinformation groups and those attempting to confront and eradicate them. Dorsey’s response, in a sense, was a non-response. “Our work right now is figuring out and just listening to what Twitter wants to be and just sit with that and to understand how, now that it is more of a conversational platform, how to encourage healthy conversation, how to incentivize that,” he said, as if years of racism, lies and hate being amplified on Twitter, including by the President of the United States himself, wasn’t enough for the platform to take more immediate, concrete action. When it comes to using Twitter, Atwood said that she prefers the original 140 character count to the current 280 one. Of course, talk inevitably turned to Atwood’s Handmaid’s Tale sequel, The Testaments, which hits bookshelves in September. She noted that, “we’re in the editing burrow at the moment,” adding that it’s written but she has notes from her editor to incorporate. The novel will launch on Sept. 9 with a live broadcast from London, England.